Soaps are a non-petrochemical, non-synthetic cleaning agent and can be used to clean skin or wash clothes. 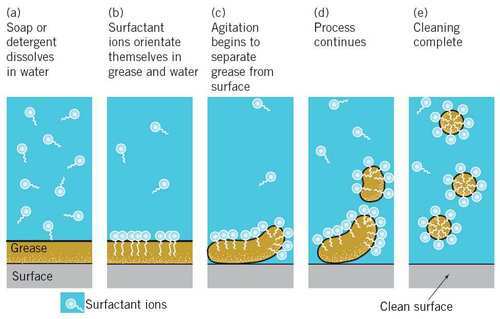 The greasy stains can be removed by the soap's surfactant properties. a hydrophobic (water-repelling), non-polar alkyl (hydrocarbon) tail that can interact with dispersion forces with oils. a polar, negatively charged, hydrophilic (water-loving) carboxylate head that can form ion-dipole and dipole-dipole interactions with water, as well as hydrogen bonds. When a greasy stain is added to a soap-water mixture, the long hydrocarbon chain tails of the soap start to dissolve in the stain. 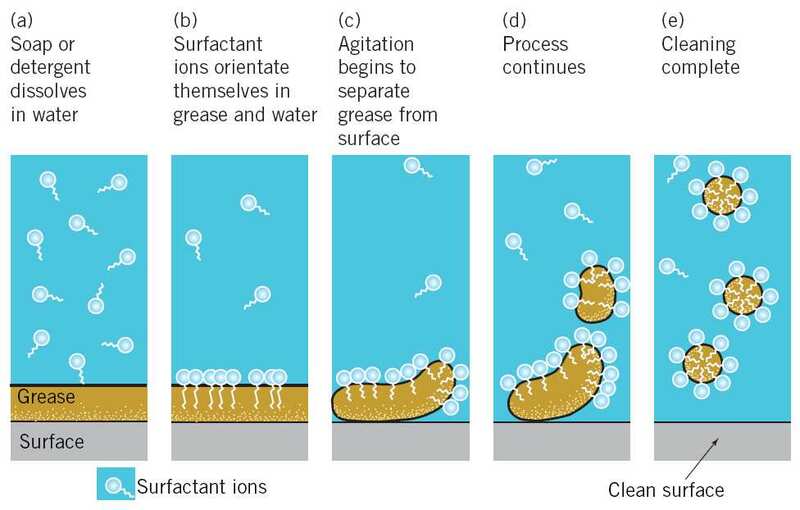 The charged heads remain at the surface of the grease, interacting with the water molecules. These interactions are sue to the fact that 'like dissolves like'.